OBVIOUSLY, I`m going to have to adjust them down a bit, but as you can see, they are bright as hell ... bonus, they were only $25 on Ebay. Don- Will those do an instantaneous flash-to-pass? How`s the glare when you`re facing them? I would not do that honestly, your going to blind other drivers. You need to fit a projector in there first, the light pattern has no cut off right now. Lol, TRS usually has a 20-30% off sale 2x a year. Ah, just realized it wasn`t a drop in, best bet is to Hit up JB at Blackflamecustoms.com, he does all my work. The guy is awesome and his prices are fair, plus he stands behind his work. The lights are great, there is only one (2?) small problem(s). 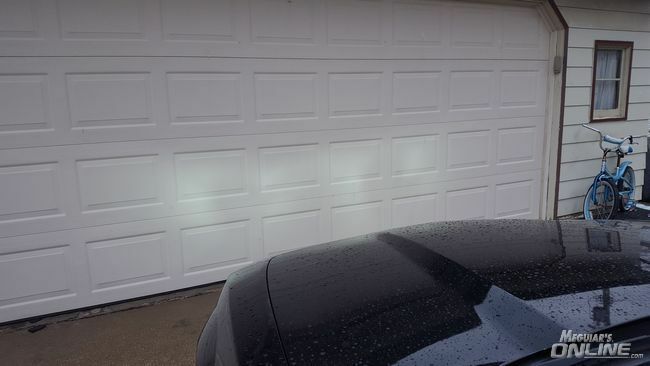 There is a `dead spot` right in the center of the pattern on both lights & I cant adjust them so it takes out the spot and all the light is concentrated on the lowbeams (which are great) but the highbeams don`t make much of a difference ... 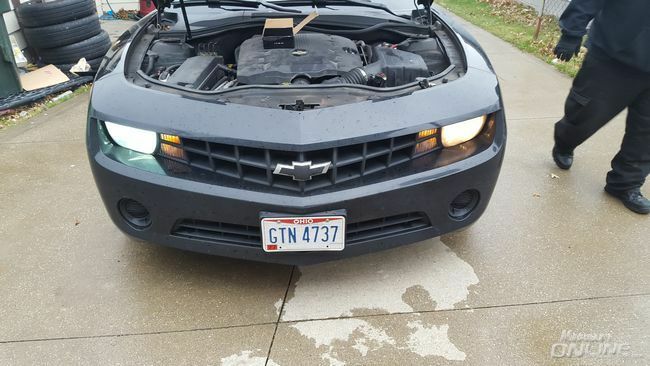 BUT, I`m planning on putting TWO sets of micro LED projector fog lights in the lower grill area, 2 on either side of the license plate. 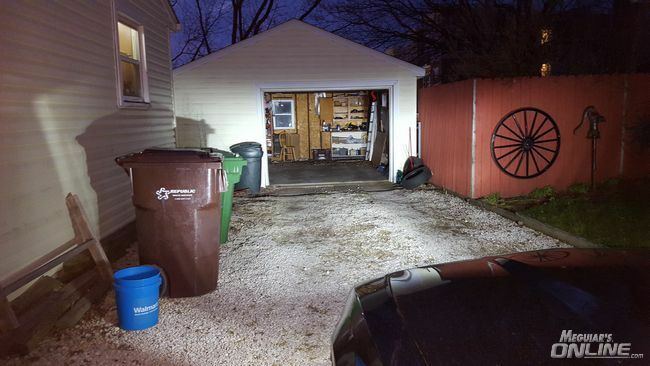 One set will be aimed to take out the dead spot in the headlight`s low beam pattern and will come on with the low beams/off with the highbeams. The 2nd set will be "aimed to kill" and will come on only with the headlight`s highbeams and be off with the lows. I should get both sets in within 2 weeks, between ordering and shipping and finding a day that both my buddy and I have off at the same time .... OF COURSE, pics to follow. 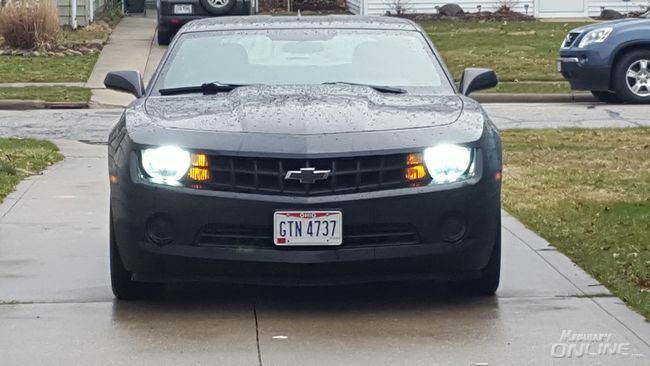 Don- I`m confused, are you gonna use foglights as DRIVING lights? ... bonus, they were only $25 on Ebay. I`d hang onto your old bulbs, they sell those for $25 for a reason. I`ve got to agree with The Driver on this. 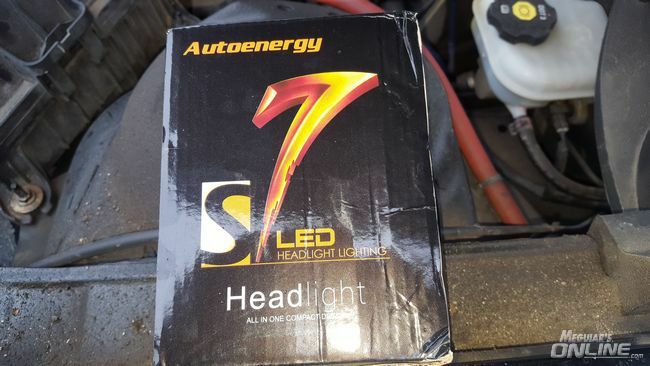 LED headlights have a completely different light pattern and need the right housing or projector fitted in to prevent glare and blinding other drivers. 2010 370Z - Clear bra installed - Many pics!